Periodontal treatment is necessary when various conditions affect the health of your gums and the regions of your jawbone which hold your teeth in place. 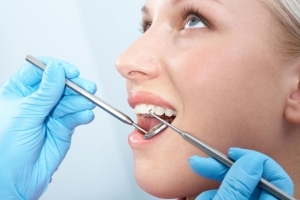 Retaining your teeth is directly dependent on proper periodontal care and maintenance. Healthy gums enhance the appearance of your teeth, like a frame around a painting. When your gums become unhealthy, they can either recede or become swollen and red. In later stages, the supporting bone is destroyed and your teeth will shift, loosen, or fall out. These changes not only affect your ability to chew and speak; they also spoil your smile.